One of the questions that I get the most is “how do you manage your multiple businesses?”. The answer is rather long, but one of the secrets as to why I’ve been able to do well running my empire is that I am very intentional with my actions. Being intentional means being able to be laser focused on daily tasks and duties. I stay organized and on top of things with a business journal that I created a few years ago. 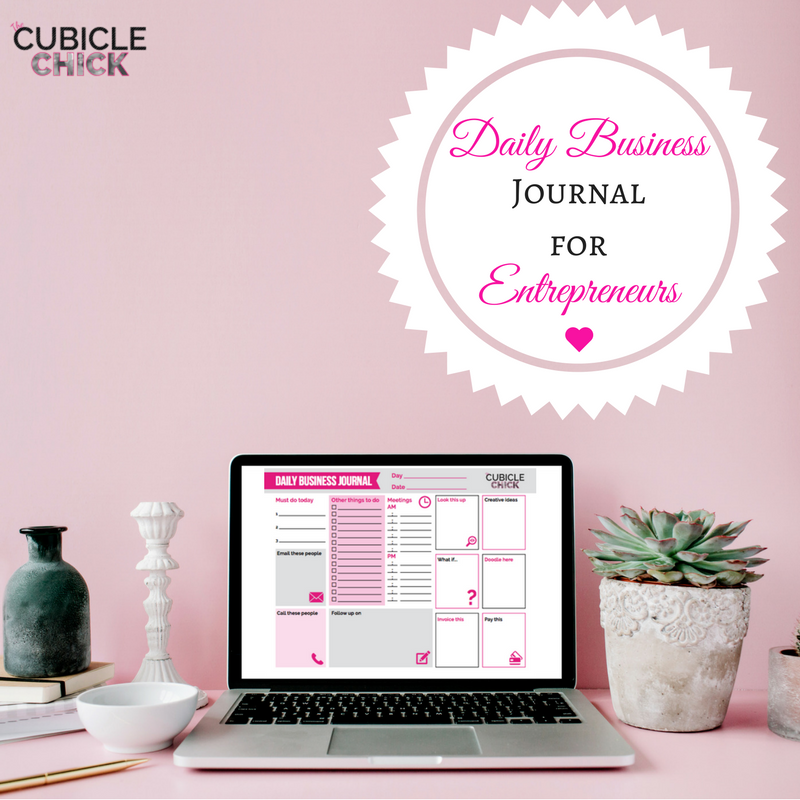 Because there are so many of you who want to go full-time on your entrepreneurial endeavor, or you are trying to grow your side-hustle, I am sharing my Daily Business Journal with you. This is the very thing that I utilize each workday. Just like you use a journal to write down thoughts, feelings, ideas, etc., this journal allows you to do the same, but with your business in mind. When I began my social entrepreneur endeavors back in 2010, I didn’t have much money. What I did have, however, was a solid social media following on all of my channels. My plan was to grow my business through the use of social media, allowing me to reach more people. I started working my social media networks heavily with a consistent attack on a daily basis, and doing so single handedly grew my business. 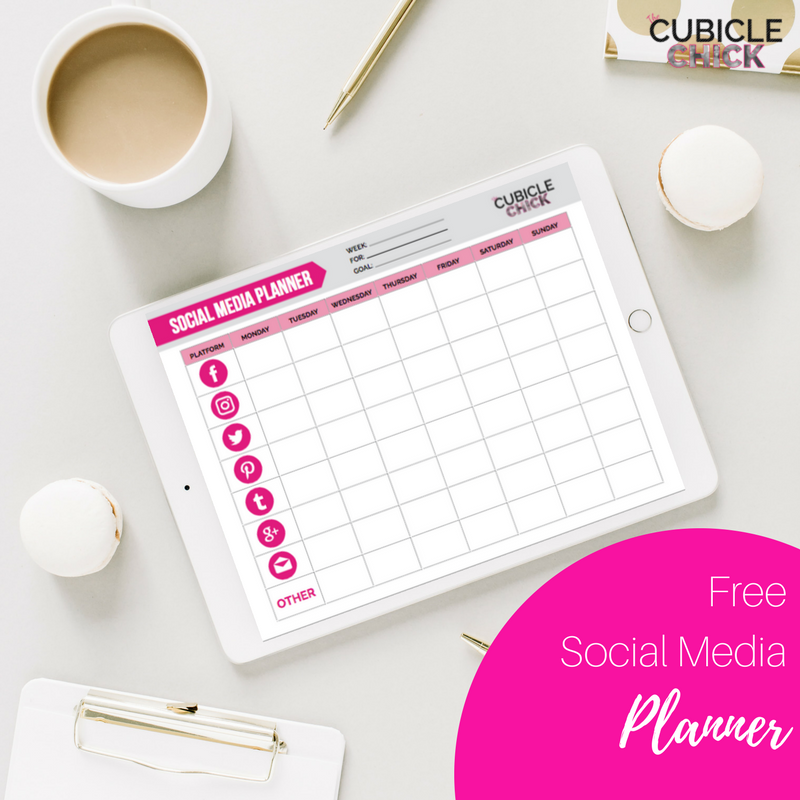 With a robust social media plan, I was able to grow my traffic, reach more readers, engage my audience, gauge their interests, sell my products and services, establish connections with brands and sponsors, and get paid for sponsored social shares. Social media is a lot different now than it was in 2010. Now, there are more people fighting to be heard in a somewhat oversaturated market. Facebook is pay to play, and Instagram is an influencer’s paradise but has a tricky algorithm. You can still rock social media and use it to your advantage for sales, leads, profits, engagement, and growth, but you have to have a strategy. A good strategy takes a plan and then solid execution. Many of you aren’t growing your social media following or experiencing sales and profit online because you lack social media consistency. 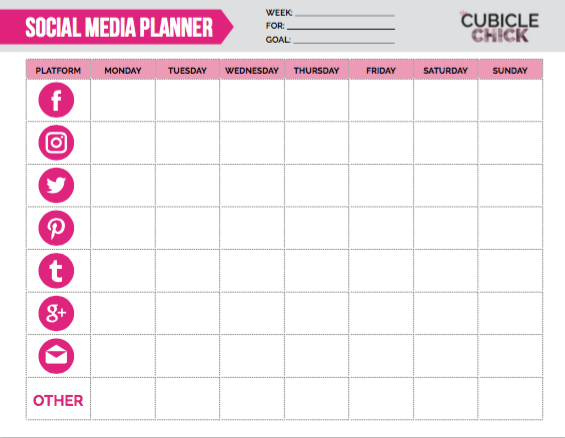 With my Free Social Media Planner, you can help devise a plan daily to help target your market. Welp. 2016, It’s Been Real. During these last few weeks of 2016, I’ve been recapping, reviewing, and rewinding. 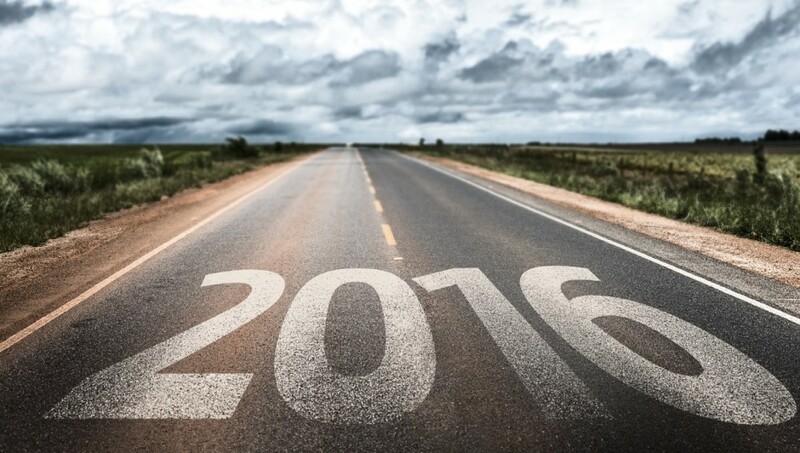 Before we can plan to chart new progress and new goals for the upcoming year, we have to be retrospective. For me, 2016 was a watershed year. Relentless in the good and the bad, a reminder of what is at stake, and a contender for one of the most “interesting” years personally. Business-wise, things were okay. I continued strong monetary streams, created new products and services, launched a growing podcast, and started a new media imprint (which you will hear about soon). I feel like I accomplished some goals, but didn’t go as hard in the paint as I could’ve. It was hard to concentrate. For years, I struggled with finding my true voice as it relates to my personal brand. I’ve always managed to stay on message as a Work Life Management expert and working parent advocate, but it wasn’t until I understood being valuable to my readers that I began to harness my full potential. To create a movement that resonates, you must serve. And to do that, you must be a problem solver. 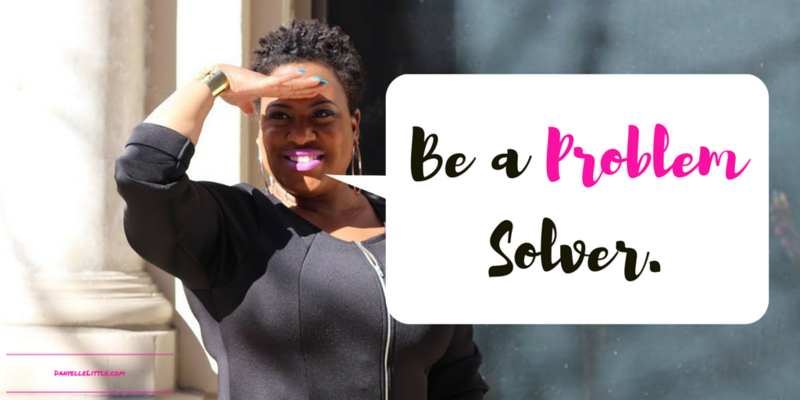 When you solve problems effectively, efficiently, and consistently, you will be able to monetize your message and your voice. Think about yourself, personally. You probably pay for goods and services that solve problems and help make your life easier. If you don’t have a lot of time to clean your home, you hire a housekeeper. If you need a ride to the airport and don’t want to pay for long term parking, you book an Uber. If your child needs help with math and your skills aren’t up to par, you pay for a tutor. You do so because they help you solve a problem which can make your life less stressful. It’s been a minute since I’ve been a social entrepreneur, and I’ve learned a few things during this part of my journey. I was reminded about one of the many lessons I’ve learned along the way during a recent conference that I attended. In addition to being an attendee of the conference, I was selected to also be a social influencer for a huge financial brand sharing tweets and info about the event while I was there. This was a paid position that allowed me to be the face of the brand while bringing their message from the conference to my followers, and I was excited about the partnership. 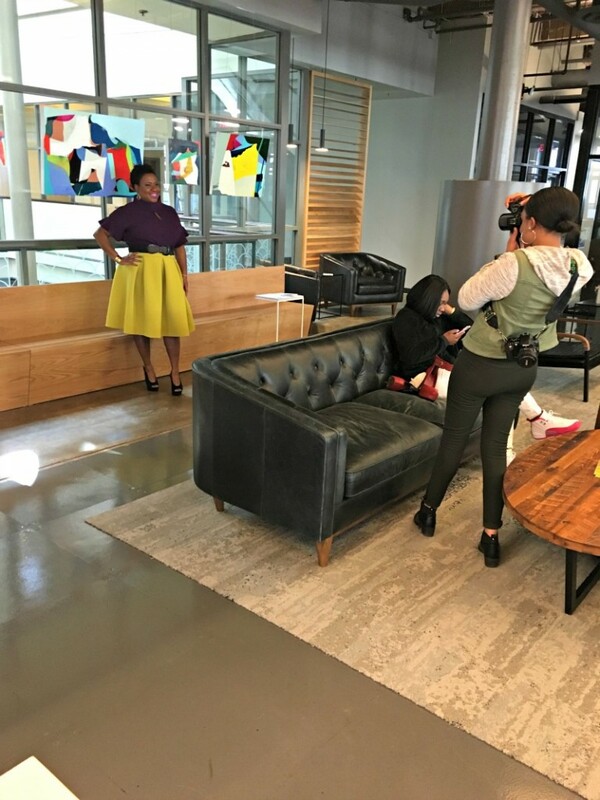 On the first day of the event, I was asked to do an on-camera interview and meet with the woman who was overseeing the brand activation. I had no idea that this was going to be a part of the program, and for a small second, I was second-guessing myself. I didn’t know how to feel about this. I was fresh off the plane having just arrived at the event, and it was beginning to rain at the outside venue. I was a little jet-lagged and not quite ready for primetime. And yet, it would be unprofessional to say no, or to ask to do it at another time. I had to do what I had to do. So what happened? Read the rest after the jump.